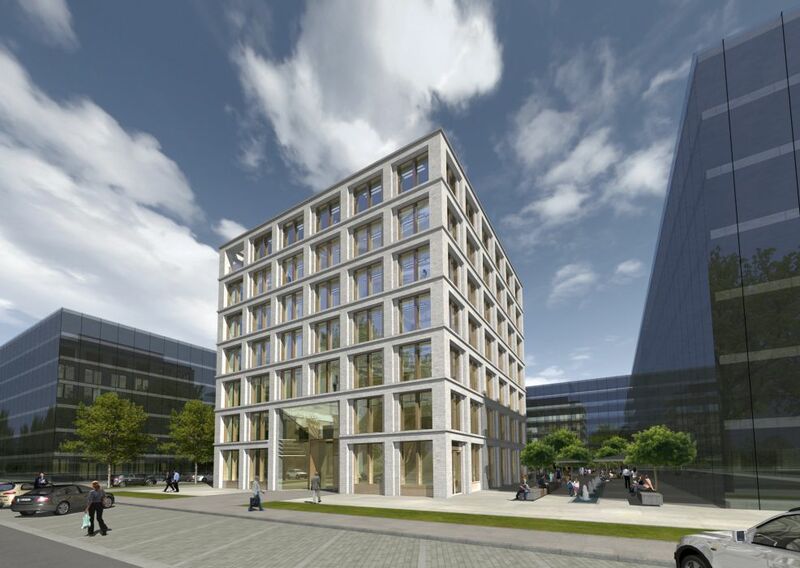 The Medico Foundation commissioned TEK TO NIK Architects for their own new headquarters in the Frankfurt Eastend, not far from the twin towers of the European Central Bank (ECB). The free standing 42,000 sq ft building has seven floors and forms a cube with an edge length of 24.54 m. The 60 cm deep brick-facade gives a strong identity to the new city quarter. 25 % of the building will be occupied by Medico, the rest will be let.